Placemaking Week is a weeklong global gathering of placemakers that emphasizes hands-on learning and innovative social events, while leaving behind a public space legacy in host cities. December 7-8: Design Charette, organised by ISOCARP’s Urban Planning Advisory Team, on the ‘New Hanzheng Riverside Avenue’ waterfront development. 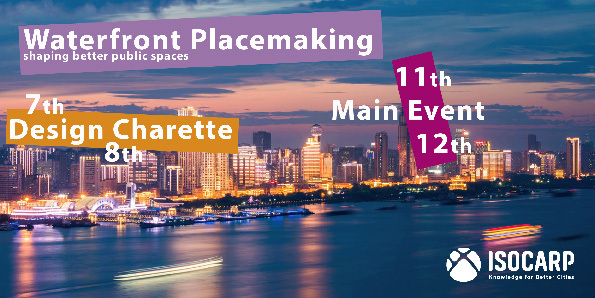 December 11-12: Chinese Placemaking, organised by UN-Habitat and Wuhan Land Use and Spatial Planning Research Centre.